Air pollution, particularly indoors, is a leading cause of death around the world. A new report released by the World Health Organization (WHO) suggests that it may be one of the most critical causes of disease in our time, and its effects have been dramatically underestimated. This isn't just about industrial emissions, though certainly fossil fuel burning accounts for some outdoor air pollution. 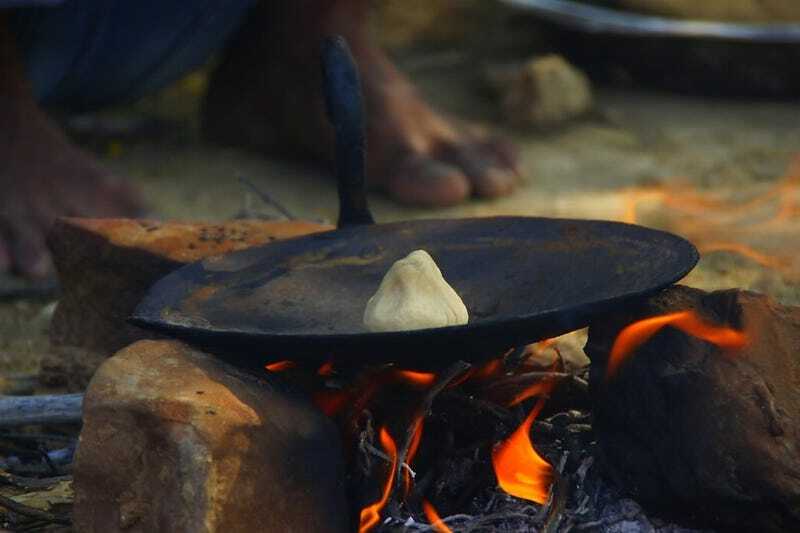 In fact, one of the main killers is pollution from indoor cooking fires, especially in regions of India and other parts of Asia where people cook over fires fueled with biomass. The smoke from these cooking fires can cause heart disease, strokes, and respiratory problems in children. Overwhelmingly, women are the ones who suffer as a result of this kind of air pollution, as they tend to be the ones cooking. Outdoor air pollution causes slightly fewer deaths than indoor, but it remains a leading cause of death in the air pollution belt that runs from Japan and China, through India, and down to Southeast Asia. Many countries in this air pollution belt rely on coal or biomass as fuel, both of which produce a lot of toxic pollutants that lead to heart disease and cancer. But there are other causes of pollution too, such as slash-and-burn agricultural practices that left large parts of Sumatra on fire for most of the past month. The New York Times has a good report on the WHO's findings, noting that part of the problem comes from rapidly-industrializing areas. Countries like China and India are building instant cities that are low-density, and thus require more driving and energy use. The World Bank has suggested that air pollution might be mitigated if countries build higher-density cities that can scale their energy use and provide public transit. "Guangzhou, with 8.5 million residents, could accommodate 4.2 million more in the same space if it were as densely developed as Seoul, South Korea," write Andrew Jacobs and Ian Johnson in the Times. Of course, denser city centers won't help with the indoor air pollution that is killing millions of people who are cooking with toxic fuels.